Blaze, the recently launched entertainment channel from A+E Networks UK, is now available to Freesat users on channel 162. 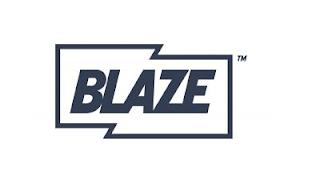 Blaze offers viewers a range of premiere episodes of popular shows such as Pawn Stars, Mountain Men, and American Restoration, as well as Forged In Fire, the epic blade making competition series, building on the popularity of these series on Blaze's sister channels History, H2 and CI. "We are very excited to bring BLAZE to a further 1.9 million homes via Freesat. We are delighted with how audiences are embracing the array of shows on BLAZE, with much of our content free-to-air exclusives." With the launch of Blaze on Freesat, the channel is now available to nearly 21 million viewers on UK free-to-air platforms. It is also available to over 12.4 million Sky subscribers. Due to its absence at the time of launch in September 2016, Freesat users have had to manually tune the free-to-air channel in order to watch Blaze until now. Blaze is also available Freeview and YouView channel 83, Sky channel 565 and as a TV Everywhere service at www.blaze.tv/catchup. You spoke, we listened. You can now watch us on @freesat_tv, you lucky lucky people!